Find Tours, sightseeing tours, activities & things to do in Orlando. Find discounted tickets, events, and many more. Buy in advance and save! 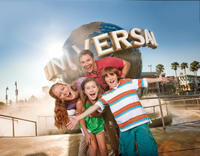 Universal Orlando' Resort lets you create the Ticket that's just right for you and your family. Buy as many days as you like, then add park to-park access for the utmost in flexibility. It's all up to U!This product is available for USA / Canada residents only. Once your reservation is submitted, no changes are able to be made. This day trip from Orlando takes you to two of Florida's most famous destinations: Miami and the Florida Everglades. Search for gators on an exciting airboat ride through Everglades National Park, and then hit the beaches of Miami. Shop at Bayside Marketplace, see celebrity homes on a relaxing cruise on Biscayne Bay, and explore South Beach's must-see Art Deco district.Special Offer - Book and save 5% compared to the local supplier's prices! - Book Now! Escape the hustle and bustle of Orlando with a day trip to Clearwater Beach. Your relaxing day on Florida's west coast comes with a lunch voucher and the option to join an additional activity on offer at Clearwater. You can upgrade to include a 1-hour speedboat ride aboard the 'Sea Screamer' or a 4-hour deep-sea fishing trip. Or simply hang out all day, enjoying miles of sugar-white sand and sparkling sea.Special Offer - Book the Tour with Lunch option for travel through April 2017 and save 20% compared to the local operators price! - Book Now! Share the exhilaration of flying over the water on a tandem parasailing adventure, while enjoying bird’s-eye views of the Walt Disney World® Resort. The state-of- the-art parasail boat allows you to take off and land from the boat without getting wet! The crew and vessel exceed all United States Coast Guard regulations, ensuring the safest experience possible. The tandem parasail flight is 2 people flying together one in front of the other. On this tour from Orlando, take a narrated boat cruise on the Crystal River to snorkel and swim with manatees -- the gentle giants of the Florida Everglades. Then, take an exhilarating airboat tour on the Homosassa River and visit Homosassa Springs Wildlife State Park to watch a manatee-feeding session and see other animals including bears, panthers and alligators. You'll enjoy a day out on the water getting to know Florida's local wildlife. Breakfast and lunch are included.Special Offer - Book and save 5% compared to the local supplier's prices! - Book Now! Take a virtual flight to the moon and back at one of Florida's best attractions! On this full-day Kennedy Space Center tour from Orlando, tour the NASA facility and Apollo/Saturn V Center to see rockets and their launch pads and the Shuttle Launch Experience. At Astronaut Encounter, hear what it's like to be in space from veteran astronauts. Upgrade to sit down to lunch with an astronaut. Or get a Space Pass Plus to not only dine with an astronaut but also take a tour of the Vehicle Assembly Building and other behind-the-scenes sites.Special Offer - Book and save 6% compared to the local supplier's prices for the transportation only option and up to 10% for all other options! - Book Now! Delight your kids with breakfast with their favorite Disney characters! Travel in style aboard luxury transportation from your Orlando hotel to Chef Mickey's Restaurant at Disney's Contemporary Resort, where you and your family will sit down to a wonderful breakfast alongside various Disney characters. This is the best way to interact with Disney characters away from the crowded theme parks, and you'll go home with plenty of photos and autographs! Likely to sell out: Due to the popularity of Disney-themed restaurants, availability is often limited or not available without advance reservations. Book ahead of time to avoid disappointment! Make your childhood fantasies come true with a sunrise flight over Orlando in a hot-air balloon. You’ll float effortlessly over the forests, orchards and waterways of Central Florida during this ultimate Orlando experience with an expert pilot. Then toast your hot-air balloon ride with Champagne and post-flight snacks. Don't forget to bring your camera for amazing photo opportunities.Special Offer - Book with us and save 15% compared to the local operator! - Book Now! At Universal Orlando' Resort you'll find two amazing theme parks, non-stop nightlife and more, all in one convenient location. Experience the pulse-pounding thrills of Universal's Islands of Adventure', including The Wizarding World of Harry Potter'; The Amazing Adventures of Spider-Man', now in high-def 3-D; and the Jurassic Park River Adventure'. Take a starring role in some of the biggest movies and TV shows ever created at Universal Studios', home of the 3-D ride Despicable Me Minion Mayhem, Shrek 4-D, Revenge of the Mummy', Universal's Superstar Parade, Universal's Cinematic Spectacular nighttime show, and the Hollywood Rip Ride Rockit' coaster. And enjoy the best in restaurants, nightclubs, shopping and movies at Universal CityWalk'. 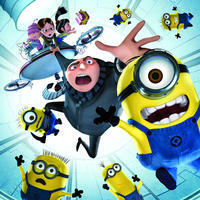 It's all at Universal Orlando Resort, where vacation becomes adventure.This product is available for UK residents only. Once your reservation is submitted, no changes are able to be made. If you are looking for a personalized VIP experience during your visit to the Florida Everglades, this private airboat tour is for you! The tour includes round-trip transportation from your hotel, a private 1-hour airboat tour, a real Florida barbeque lunch, an alligator-handling demonstration and a free alligator souvenir. Enjoy the natural Florida landscape at Disney's Contemporary Resort while cruising at 35 miles per hour on a Jet Ski or personal watercraft (PWC). Choose between the tour or a free ride option.Special Offer - Book with us and save 26% compared to the local operator's price! - Book Now! Explore the natural side of Florida and experience its peaceful beauty on an adventure through the Florida Everglades. This ultimate Florida experience includes a 30-minute or 1-hour airboat tour, admission to the Wildlife Park and an alligator-handling demonstration.Upgrade to the half-day package to include a barbeque lunch and an alligator souvenir!Special Offer - Book and save between 12% and 16% compared to the local supplier's prices! - Book Now!